Within the last few weeks, some incredible changes to Above.com’s user interface have gone into effect. Our new dashboard offers a clean design with a new left-hand navigation bar. Users can now seamlessly move between all the free tools and valuable data provided for efficient domain portfolio management. In addition to being more intuitive to operate, new features have been added as well. 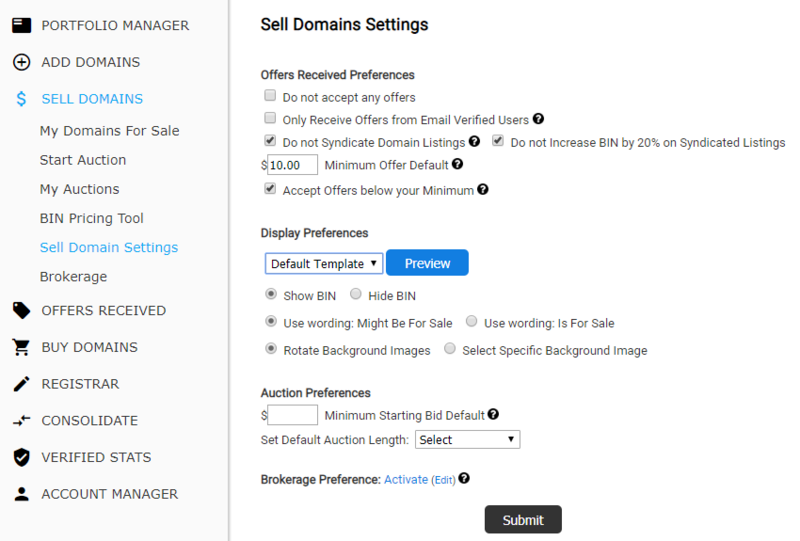 For example, the ability to quickly customize the “For Sale” page displayed by domains being sold on Above.com. The screenshot included shows all the free options currently available to our clients. To find this new feature, click Sell Domains and then select Sell Domain Settings. Logged in users click here to check out these settings now! Questions? Email contact@above.com or message us on Live Chat.